Bird-Shots is owned and operated by David McGeachy, PE (ret) and is based in Tallahassee, Florida. It was established in 1996 as a freelance commercial photography business. In 1999 I began specializing in low level aerial photography using various platforms. In 2002 the business shifted from photography to providing PAP Kits for photographers. Low Level Aerial Photography is shot from an elevated platform less than 400'. This fun shot was taken from a remotely controlled camera suspended from a 4 meter kite. 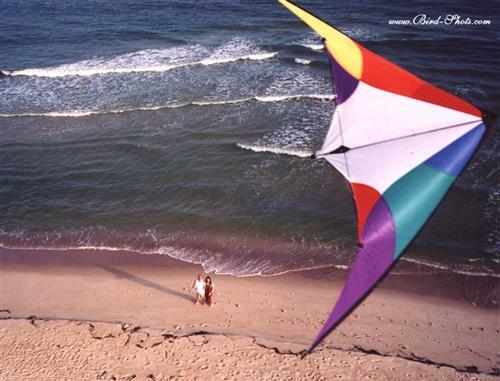 This type of photography is called KAP which stands for Kite Aerial Photography. Pole Aerial Photography (PAP), upon which Bird-Shots is based, is very similar to KAP in that the camera systems have the same components. The fully adjustable view from atop a 50Â’ pole is unique, and in most cases, unattainable from other platforms. It gives the image a sense of depth with the detail one would expect from a ground shot, yet it has the feel of an aerial. 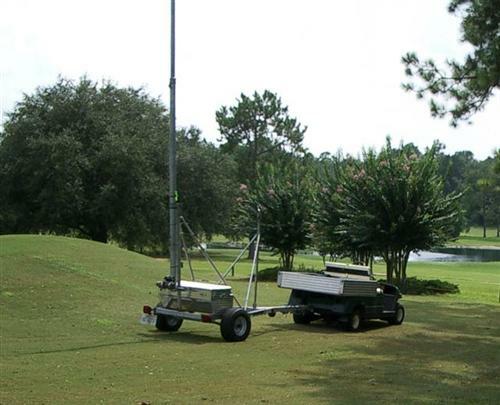 The system I use consists of a remotely operated camera atop a trailer-mounted telescoping pole. The high-resolution digital camera system is wireless and remotely controlled using RC components. What the camera sees is down-linked to a monitor on the ground, allowing me to adjust the view accordingly. The trailer here was designed to be used specifically for Golf Course photography. It is small and lightweight and is equipped with wide low profile tires to prevent turf damage. It can easily be towed behind a golf car and set up anywhere on a golf course and it can be safely trailered at Interstate speeds.